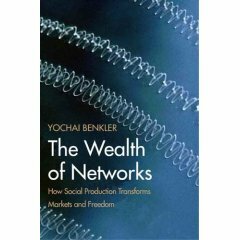 I have been hearing about Yochai Benkler’s book, The Wealth of Networks: How Social Production Transforms Markets and Freedoms, for some time and his exposition around what he (and many others) have called the “networked information economy.” Benkler, a Yale law professor, offers his 527 page (473 in text) book as a free PDF from his web site under a Creative Commons Attribution Noncommercial Sharealike license. I added his book to my summer reading list. First, let me say, there are a couple of worthwhile insights in the book, which I’ll get to in a moment. But mostly, I found the book overly long, often off-subject, and too political for my tastes. In fairness, some of this might be due to the fact it was written in 2005 (published in 2006) and the social and participatory aspects of the Web are now widely appreciated. Yet I fear the broader problem with this polemic is that it proves the adage that you see what you look for. Benkler’s argument is that cheap processors and the Internet have removed the physical constraints on effective information production. This is in keeping with the non-proprietary nature of information as a “nonrival” good, and is also leading to the democratization of information production and the emergence of large-scale peer-produced content. Benkler definitely allies himself with the camp of technology optimists, a camp I generally like to visit. His observations about trends and new developments from Ebay to Wikipedia to SETI@home and open source software is now commonly appreciated. With the costs of information duplication and dissemination trending to zero, the limiting factor of production becomes human creativity and effort itself. But here, too, with Internet users approaching a billion in number, just a few hours of contributed content each easily swamps the ability of even the largest firm to compete. These trends to Benkler presage a “radical decentralization” of information production, and many other changes to the political economy and culture. That radical changes in the nature of information production and authorship and even the role of traditional publishers or the media are underway is without question. Purposeful collaborations like Wikipedia are now clearly successful and were not forecasted by many. Technorati documents literally millions of bloggers online. The lens, however, in which Benkler looks at all of these trends is through the “modern” history of the mass media. Citing Paul Starr’s Creation of the Media, he notes how in 15 years from 1835 to 1850 the cost of setting up a mass-circulation paper increased from $10,000 to over $2 million (in 2005 dollars). In Benkler’s view, these cost increases shifted the ability to publish away from the common citizen into the “problem” hands of the mass media. Fortunately, now with the Internet and cheap processors, this evil can be reversed back to a “radical decentralization” of content. Though Benkler specifically disclaims that he is not describing “an exercise in pastoral utopianism,” the fact is that is exactly what he is describing. There can be no doubt that the role of mass media and traditional publishers is under severe challenge from the emergence of the Internet. It is also the case that we are witnessing citizen publishers and authors emerge by the millions. These changes are momentous, but they do not involve everyone — only comparatively small percentages of Internet users blog and still smaller percentages contribute to Wikipedia (about 80,000 at present based on a user base of hundreds of millions) (part of what I have called the “teeny heads” to contrast with the “long tail”). And, as the traditional gatekeepers of printers, publishers and editors lose prominence, new institutions and mechanisms for establishing the authoritativeness and trustworthiness of content will surely need to evolve. These real trends deserve thoughtful exploration. However, there is a reason that publishing costs increased so rapidly in that era of the 1800s. Mass publishing and pulp paper were emerging that acted to bring an increasing storehouse of content and information to the public at levels never before seen. I have earlier written about how the explosion of information content that occurred at this very same time correlates well with the fundamental historical changes in human wealth and economic growth (“The Biggest Disruption in History: Massively Accelerated Growth Since the Industrial Revolution“). Though mass media may prove to be an historical artifact, I would argue that its role in bringing literacy and information to the “masses” was generally an unalloyed good and the basis for an improvement in economic well being the likes of which had never been seen. By taking a narrow historical horizon and then viewing it through the lens of the vilified “mass media,” Benkler is both looking in the wrong direction and missing the point. The information by which the means to produce and disseminate information itself is changing and growing supports an inexorable trend to more adaptability, more wealth and more participation. What we are seeing now with the Internet is but a natural phase in that trend. The “mass media” and the costs of information production of the 1800s was only a temporary phase in this longer, historical trend. The multiplier effect of information itself will continue to empower and strengthen the individual, not in spite of mass media or any other ideologically based viewpoint but due to the freeing and adaptive benefits of information itself. Information is the natural antidote to entropy and, longer term, to the concentrations of wealth and power. By trying to push the trends of the Internet through the false needle’s eye of political economics, an effort that Benkler also erroneously makes with his earlier analysis of the growth of radio, what are in essence historical forces of almost informational or technological determinism are falsely presented as matters of political choice. Hogwash. 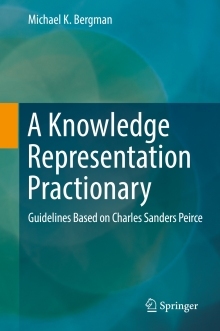 To illustrate this effect of granularity, he contrasts Wikipedia with its simple entries and editing and bounded topics with the far-less successful Wikibooks, which has much larger granularity. Creators of social collaboration sites are advised to keep granularity small to encourage broader contributions, and if the nature of the site is complex, to increase the number of its modules. Of course, none of this guarantees the magic or timing that also lie behind the most successful sites! I think that Benkler’s arguments could have been more effectively distilled into a 30-page article, with much of the political economy claptrap thrown out. But, there are some worthwhile references (including Elizabeth Eisenstein’s Printing Press as an Agent of Change, as well as Starr). The book is definitely worth a skim.